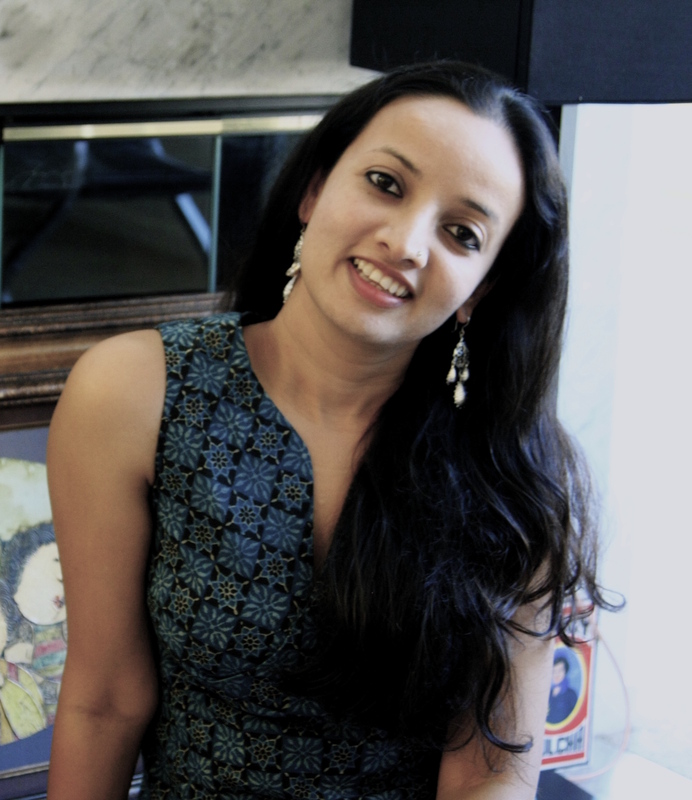 Puja Bhargava Kamath almost went to medical school but a graduate course in Accessory Design from NIFT at New Delhi led to a career in jewelery design. “I had taken the NIFT entrance exam for fun & when I went for the final round of the interview, I fell in love the BV Doshi designed campus & felt I really had to be there! It sounds like a really silly criteria to base such a big decision on but I didn’t realize the impact of that decision on my life at that point. Also I’m blessed to have parents who believed in letting us make our own decisions & doing what really interested us versus following the herd. So there I was, a quasi-geeky kid wandering into the amazing world of art & design quite by chance really”. 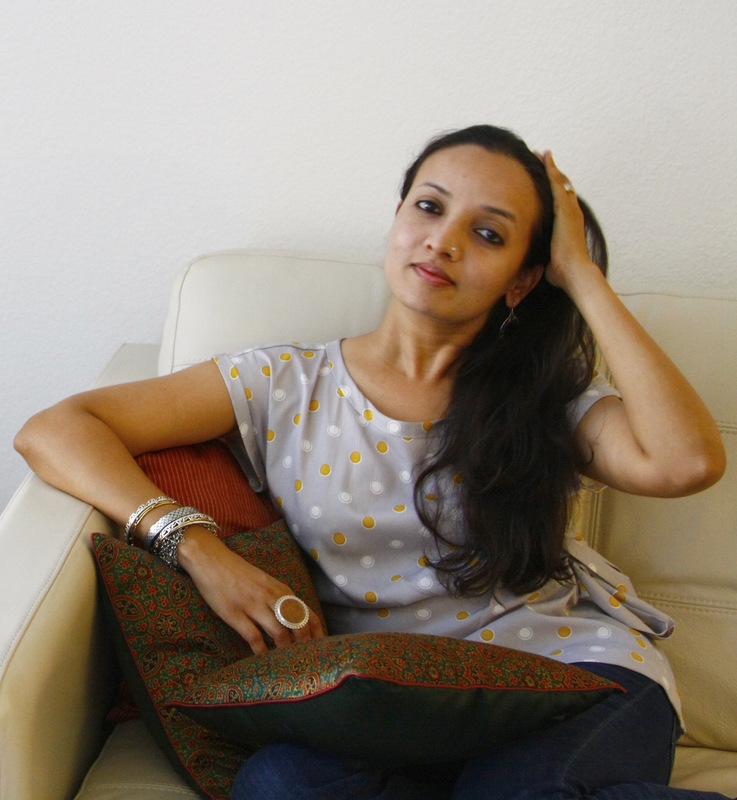 She grew up in New Delhi and later moved to the San Francisco Bay area. 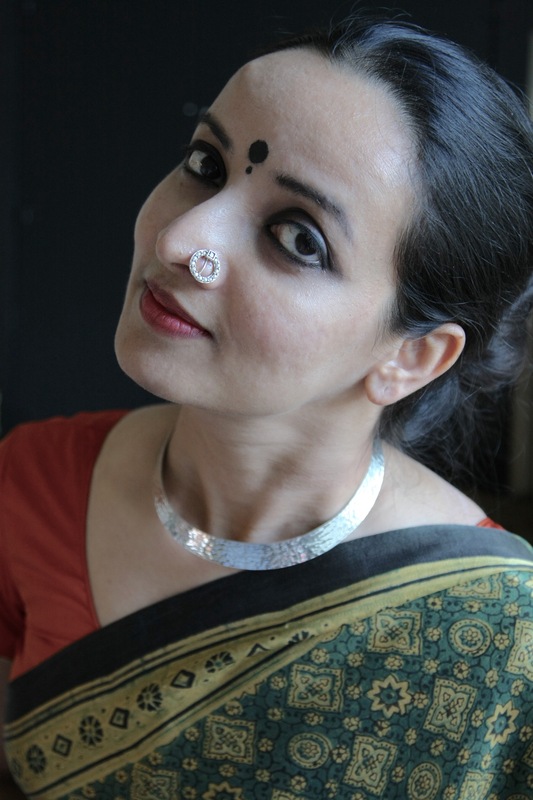 Puja Kamath decided to venture into producing her own designs when she realized that silver jewelery was one category where her three big passions converged; working with crafts and traditional skills, jewelery construction and history. This is when she started ‘Lai’, her own brand of eclectic silver jewelery. 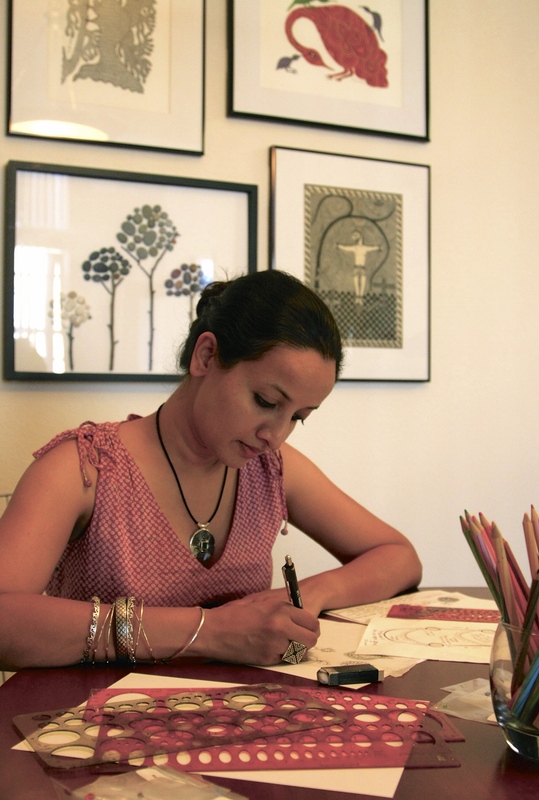 Lai’s jewelry pieces are crafted using traditional techniques such as Rava (granulation), Jali (fret work) and Meenakari (enamelling), thus keeping the age-old skill of handmade jewelry alive. Each piece is handcrafted by expert artisans in Jaipur, using the best of traditional techniques. I run a small, indie business of designing and manufacturing jewelery and while that may have no direct relation to skincare – being of the face of the brand, it helps to feel confident and good about yourself – which in turn has plenty to do with skincare! I’m a minimal makeup person but skincare is something I take quite seriously. I do believe that great skin is the best makeup anyone can wear! My daily routine is pretty simple and straightforward – wash, treat and moisturize – twice a day- morning and night. I have skin that has the tendency to break out so if a product works for my skin then I can be fiercely loyal to it for years. Though, every now and then, I experiment with something new just to switch things up a bit. And while I may occasionally get swayed by reviews or packaging, in the end I can be a harsh critic! I wash my face with an oil control face wash (Johnson & Johnson Clean and Clear) or a Castile soap. For those occasional break outs, I apply tea tree oil topically after washing my face and then moisturize it. Currently I using Drunk Elephant’s morning skincare duo which comprises of Vitamin C serum followed by a vitamin B5 enriched hydration gel. Sometimes I switch the gel with a RoC retinol daycare cream with a built in SFP 30. If I’m stepping out, I wear Laura Mercier tinted moisturizer with SPF 20. I’ve found a great color match with this product and it evens out my skin tone. It offers sun protection and that helps cut down on having to wear a sun screen separately. Physicians Formula CC Cream is another product that I like for daily wear. At night I wash my face again and use Drunk Elephant’s night duo which comprises a glycolic acid night serum to be followed by a light application of Marula oil. I’ve been on this regime for a couple of months and while the Drunk Elephants products are good, I haven’t really been wowed by them. Marla oil was a good discovery and I’ll probably buy another bottle of that but not the rest. I’m more aware to the needs of my skin now. My routine, though, hasn’t changed too much. Infact I think in my teens is when I was applying all kinds of masks and packs- stuff I don’t get time for or am just too lazy to do now! I’m a quintessential no-make up person on most days (I work out of home and that helps!) and prefer a natural look. The only make up that I wear on a daily basis is kajal- something I’ve worn through my collage days. If I’m stepping out, I’ll wear an eye liner too and apply a tinted lip balm. I’m pretty lazy when it comes to makeup, but when I do need to ‘dress up’ for occasions, I love doing smokey eyes, stronger brows and neutral lips. My skin is prone to break outs and I absolutely swear by Tea Tree oil! Multanni mitti (fullers earth) has also been fabulous for my combination skin type. I’ve stuck to Biotique’s kajal since forever! For eye liner I switch between Lakme and Stila. NARS lipstick are my favorite – they are creamy and a single swipe gives the right amount of color! I absolutely love Smashbox ‘Photo Finish Foundation Primer’ and love the way makeup glides on after applying it. I know it’s silicon based but since I only use it once in a while, I don’t feel too bad about it! I keep switching moisturizers for my skin but CeraVe, Neutrogena and Johnson&Johnson are three drugstore brands that I keep going back too. I’ve pretty much given up on my hair now. I wash my hair only once or twice a week, since they are quite dry. I apply Biotique’s ‘Bio Bhringraj’ hair fall oil an hour before washing and am currently using Paul Mitchell’s Awapuhi Shampoo and the conditioner The Detangler is especially good and makes the hair smell really good. I rub in some jojoba oil into the ends and let it dry naturally. Once a month or so I apply a deep treatment mask/conditioner. When I was in my 20s I would apply egg and yogurt protein hair masks. I think they did my hair a lot of good. 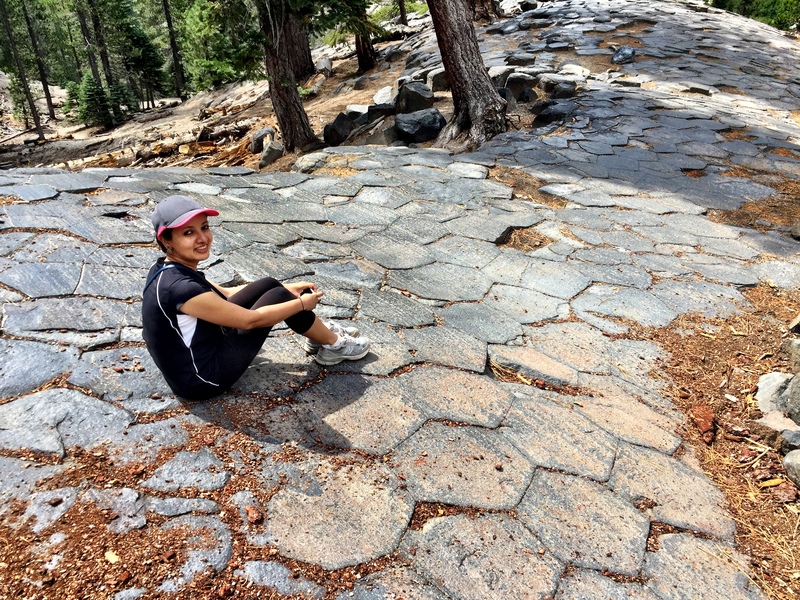 I do believe that now more than ever, given our sedentary lifestyles, it is very necessary to take time out to engage in some physical activity – walking, swimming, cycling whatever one enjoys. Not only does exercising help us stay fit, it also gives us a chance to plug out and re-boot. Also, for me, taking out time for non-goal oriented activities like working in the garden, rearranging furniture or decor, cooking at a leisurely pace have been a sure fire way to de-stress. 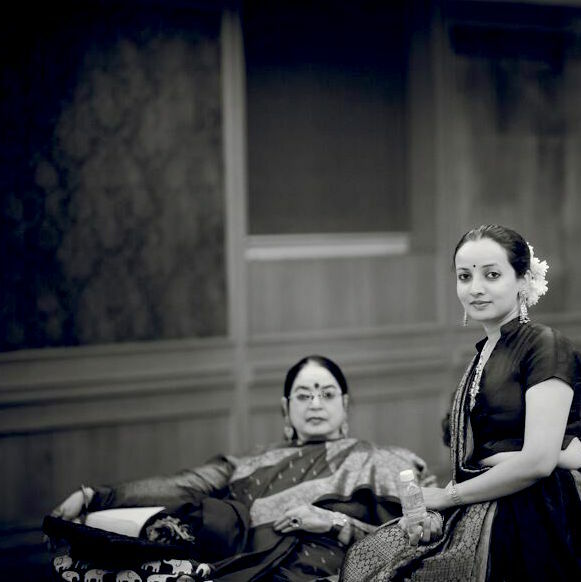 Audery Hepburn and Laila Tyabji. Because of their amazing personality, talent, grace and inimitable sense of style! “A thing is beautiful, not because it is beautiful”, the he-frog said to the she-frog. “It is beautiful because one likes it”. I have always loved this quote and I think it pretty much sums up my attitude towards what and who I consider beautiful. We all truly need to embrace who we really are and need to get off the ride to attain an unrealistic level of perfection. True beauty runs deep – it shines through in moments of kindness, gratitude, bravery, joy and laughter. And it’s something we see in those we love just because we love them. Most often less is more and we truly are better served exercising (which goes a long way towards a radiant skin), eating well and generally taking care of ourselves than spending hours in a saloon. That said, being interested in how one looks can be a positive and empowering thing. If wearing makeup or looking a certain way makes you feel better and more confident, then by all means indulge in it without worrying about being judged. The trick is in blocking out all the noise and marketing spiel and treating the whole thing as something that is just there for our own amusement and self-expression. Thank you so much Puja Bhargava Kamath!